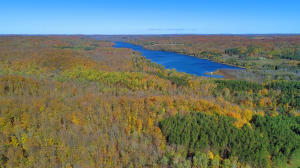 Incredible opportunity to own one of the largest tracts of privately owned land in lower Michigan: 720 acres of rolling hills, maturing trees & unspoiled wilderness. Situated in Echo Township in Antrim County. Huge whitetail in abundance. Gorgeous maturing hardwoods while maintaining mineral rights to this forest. Rolling views perfect for large development opportunities. Includes 2700' of frontage on Six Mile Lake Rd with 6 access points/gates to access to property. Two large hunting cabins are leased by very successful hunting group. Larger cabin is 5 bed, 2 full baths, 2 half baths & sleeps 19 people comfortably. Smaller cabin is 2 bed, 2 full baths & sleeps 7. Residual income, world-class hunting, timbering opportunities, and residential development opportunities all for the taking!